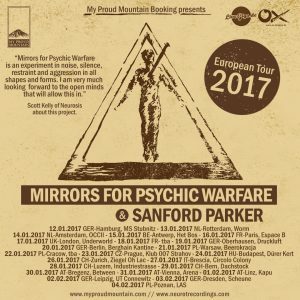 Mirrors For Psychic Warfare is the collabora tion between Neurosis’ Scott Kelly and Buried At Sea’s Sanford Parker. 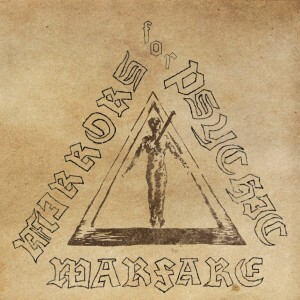 The band released their self-titled debut – a sonic manifestation of insomnia, complete with the tossing, turning, and perennial dread that comes with facing a new day – earlier this year via Neurot Recordings. 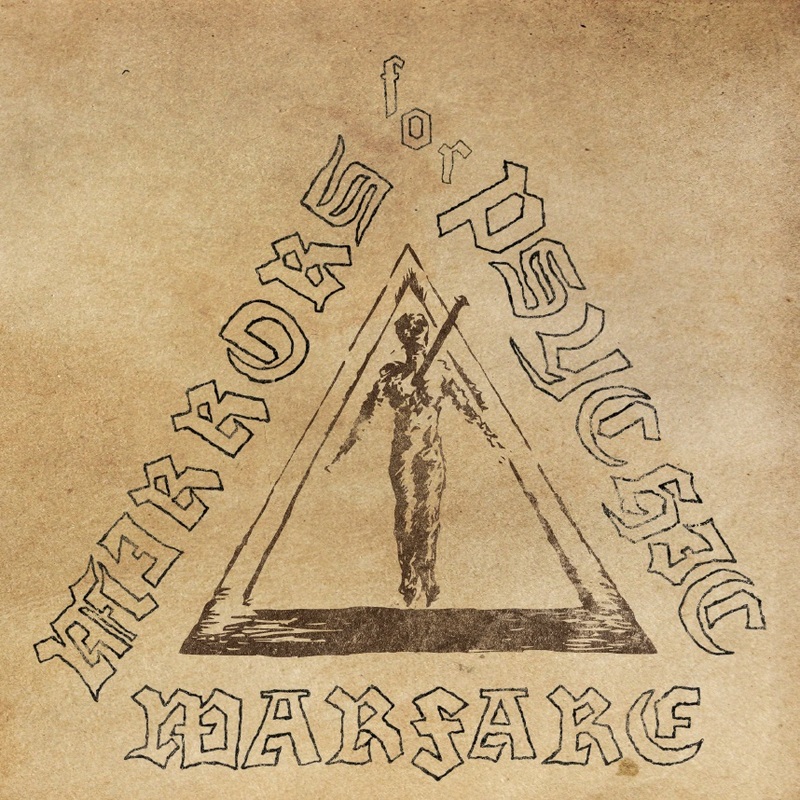 The five songs that comprise Mirrors For Psychic Warfare lurch and pulsate across a sullen, desolate landscape with an almost curious obsessiveness. You can hear in full at their bandcamp. Anyone who has lowered their ear into the chasm of sound between metal and industrial in the last couple of decades will most likely have come into contact with Parker’s work. Per haps through the bands and projects in which he is or has been involved as a musician: the doom-prophesying powerhouse Buried At Sea, the extreme-sound fraternisation, Corrections House, or perhaps the doom/post-metal shamans Minsk. Or maybe via the sheer volume of the releases to which he skilfully brought his very own toxic sound as a producer or sound technician. In this capacity, the name-dropping begins with Pelican, Eyehategod, Rwake, and Voivod and carries on far beyond YOB, Lair Of The Minotaur, and Wovenhand. 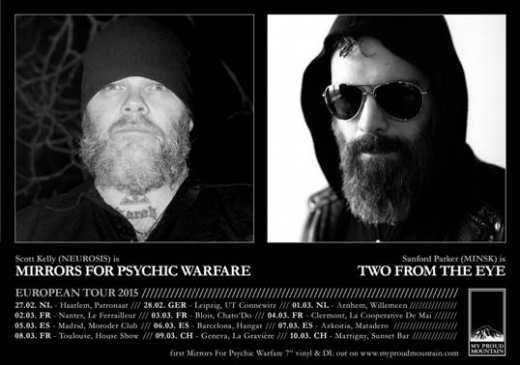 In many cases (Minsk, Corrections House, Twilight, YOB, Blood Ceremony), he even combined the two areas of activity in an interdisciplinary radicalisation of sound both through the amps and behind the mixing desk. In a way, this material is the translation of doom into the methods of electronic music. A concept work of cross-genre, dystopian music that builds on the loops and sequencer programs of industrial, but shuns purely linear song structures in favor of instrumental storytelling, the development of which expands a track into an entire world of sound. In the process, Parker knowingly invokes American and British industrial traditions, but equally, his microscopic detail work – primarily observable in the harmonics – could easily have come from German avant-garde electro institutions such as Raster-Noton or Mille Plateaux. These ideas manifested themselves in his solo album of this year, Lash Back, which imposes itself on the contemporary extreme music scene like the black monolith in Kubrick’s Space Odyssey – unassailable, incomparable, and perfect in form. Listen to the record in full at bandcamp. For interview, album or live review requests, please do not hesitate to get in touch.